The Ocean Course at Kiawah Island Golf Resort is home to The Atlantic Room, where Chef Fulmer steered the kitchen under the leadership of Chef de Cuisine Jonathan Banta, after honing his craft in the James Beard Award-winning kitchen of celebrity chef Susanna Foo (Susanna Foo, Philadelphia). Since taking the helm at Motor Supply in Columbia, S.C., Chef Fulmer has been featured as the sole chef for the South Carolina Department of Parks, Recreation & Tourism’s biannual media event in New York City, and in Fall 2015, featured in an episode of Travel Channel UK television series, “Jeni and Olly’s Deep South Food Adventures,” in partnership with Discover SC. Gourmet and Grapes is a weekend-long fundraiser filled with dinners, parties and seminars, featuring some of the region’s best culinary talent and award-winning wineries, in which all proceeds support cancer research and patient programs at the Hollings Cancer Center at the Medical University of South Carolina. #GG2016 marks the eighth occurrence of the annual event. Chef Fulmer will showcase his skills amongst many distinguished chefs and alongside Motor Supply Sous Chef Curtis Clark at the Wine Odyssey Gala on Saturday, Feb. 20 at 6:30 p.m. Guests get the chance to meet some of the most talented chefs on the east coast and enjoy unique, often interactive culinary creations, while sipping distinctive west coast wines at this energetic, seating-optional event and auction gala. This year, Chef Fulmer will present house-cured duck pastrami with cornbread purée, boiled peanuts and pickled Brussels sprouts. The Saturday Night Afterglow party with a live band and dance floor, decadent desserts and champagne caps the signature event. As Gourmet and Grapes grows and changes each year, the event attracts talent from not only the Southeast, but from across the country. Amongst a “who’s who” of prominent Southeastern chefs, Executive Chef Curtis Duffy of Grace Restaurant in Chicago, Ill. will join the group in 2016. Other first time participants joining the ranks of culinary talent at Gourmet and Grapes this year include Executive Chef Greg McPhee of Hotel Domestique and Restaurant 17 in Charleston, S.C., previously from Sean Brock’s Husk; Reid Henninger, Executive Chef of buzzing eatery and brewer Edmund’s Oast in Charleston; Michael Perez, Executive Chef of Indaco, named one of the top ten Italian restaurants in Charleston by USA Today; and Executive Chef Katie Lorenzen-Smith, Iron Chef America champ (beating Bobby Flay in 2006) and Executive Chef of Tavern & Table in Charleston. Returning to Gourmet and Grapes are N.C.-based veteran participants Chef Colin Bedford of The Fearrington House Restaurant in Chapel Hill, named one of the top hotel food destinations in the world by Condé Nast Traveler; and Chef Steven Devereaux Greene, Executive Chef of The Umstead Hotel and Spa in Cary and the 2015 Wine Odyssey Gala winner in the audience taste-test competition. Chefs from buzzworthy Charleston, S.C. restaurants will return to the benefit as well, including Chef Mike Lata of FIG and The Ordinary restaurants; Chef Jacques Larson of Wild Olive and The Obstinate Daughter; and Chef Nico Romo of Fish Restaurant. Also returning to Gourmet and Grapes for a second year is Gourmet & Grapes Golf on Sunday, February 21 at 10:00 a.m. This Sunday golf outing on Kiawah’s world class Ocean Course allows guests the opportunity to play the links with Gourmet and Grapes’ distinguished chefs, including Chef Fulmer. 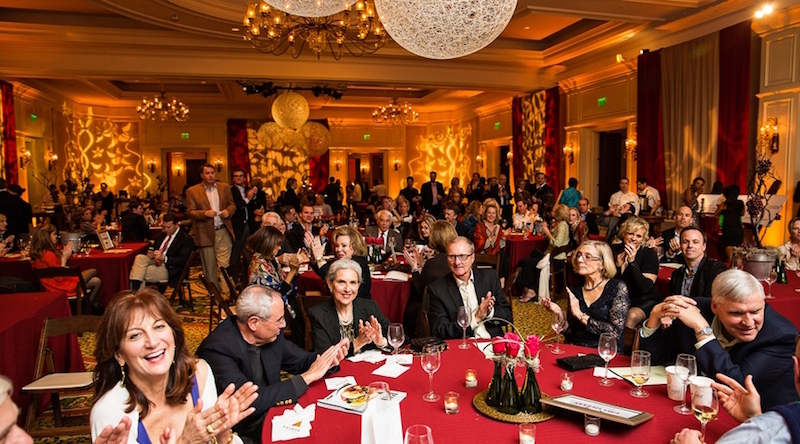 Since Gourmet and Grapes began in 2009, more than $1,100,000 has been raised for cancer research programs at Hollings Cancer Center at MUSC. To view the full schedule of events, learn more about each activity, meet the participating chefs and purchase tickets, visit http://gourmetandgrapes.com.